We’ve completely fallen in love with the Born Mendocino and you will too. This women’s heeled bootie has an upper made of distressed suede with cut-out detail and an adjustable metallic buckle. A back zipper helps with on/ off ease and the Mendocino is crafted from Born’s Opanka construction which makes them lightweight and flexible while still being durable. The soft leather linings wick away moisture for a comfortable fit and a steel shank provides lateral stability. The heel of the Mendocino is about 2 ¼” tall but you’ll feel plenty stable thanks to the textured rubber outsole. 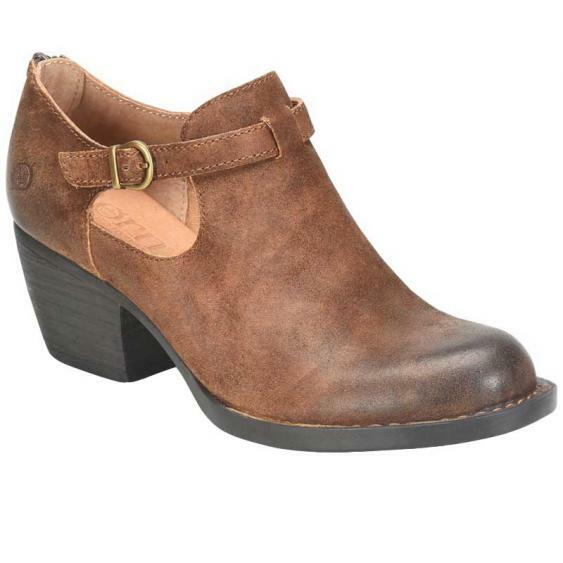 Walk confidently and in comfort in the absolutely adorable Born Mendocino booties.